Beautiful Exterior Options...Porches, Galvanized Roof, and more! *NEW SINGLEWIDES UNDER $300 per month! **NEW DOUBLEWIDES UNDER $500 per month! *Our delivery and set-up radius is 75 miles from our dealership. If you are outside that range simply click on your State below for a current list of licensed movers and installers in your area. *Proposed amount assumes specific credit terms at 5% down, 11.29% (fixed) for 276 mo. at $292.37/mo., APR: 11.93%. Such terms also assume a Scott County, MO sales tax rate. Payment does not include fees such as, but not limited to, flood determination, document fees, processing fees, verification of employment fees, title fees, credit report fees, appraisal fees, tax service fees, insurance premium if financed, as well as escrow fees for taxes and insurance. ** Proposed amount assumes specific credit terms at 5% down, 11.04% (fixed) for 276 mo. at $482.24/mo., APR: 11.67%. Such terms also assume a Scott County, MO sales tax rate. Payment does not include fees such as, but not limited to, flood determination, document fees, processing fees, verification of employment fees, title fees, credit report fees, appraisal fees, tax service fees, insurance premium if financed, as well as escrow fees for taxes and insurance. 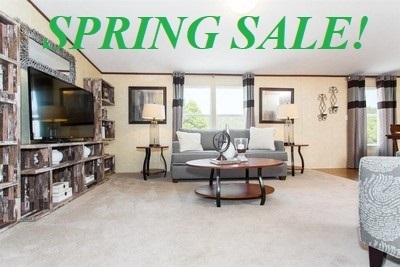 Ferrell Mobile Homes reserves the right to change or alter any and all prices, floorplans, pictures, and descriptions. Images are used as a guide and may not reflect actual size, options, colors, or make. Ferrell Mobile Homes is not responsible for errors or ommissions on this website. Set-up includes blocking, leveling, and anchoring only, on your prepared site and concrete pad foundation to State code, with-in a 75 mile radius from dealership. Ferrell Mobile Homes prices all homes to be set-up on the customers concrete slab to State and Manufacturers requirements. Ferrell Mobile Homes requires that a solid slab is poured to State spec's and will not setup a home if a solid slab foundation is not used. Furniture and decorations are for display purposes only unless otherwise stated. Manufacturers reserve the right to substitute options and/or colors for similar of equal or greater value without notice. Please contact Ferrell Mobile Homes at 573-545-4114 for questions regarding information on this website. Contents © 2019 Ferrell Mobile Homes • Site Provided By: Day One Web, Inc.